Welcome to the 2017-18 school year! We were thrilled to open the doors at the South Campus and the New North Campus for the first day of school. The classrooms and hallways were filled with joyful energy – teachers and students created new classrooms communities, hugs as old friends reconnected and giggles as students made new friends, singing in the Kikar and Ulam, and classrooms already filling with curiosity and enthusiasm for learning. It was a wonderful first day. Faculty and staff have been hard at work all summer to get ready for this moment. Administrators and the facilities team worked tirelessly to move the entire North Campus to the New North Campus; set up classrooms and learning spaces for Grades 2 to 6; partner with maker spaces, other schools, and community organizations to enhance our program; develop new schedules; create new bus routes; and much more. Teachers spent countless hours designing and redesigning (and redesigning again) learning spaces and classrooms to create a warm, inspiring, learning environment for our children. So much of this hard work is often done behind the scenes so please be sure to give them a big “thank you” via email or when you see them. MILTON teachers and leaders attended several week-long training programs, including an international program for educators at the Harvard Graduate School of Education. 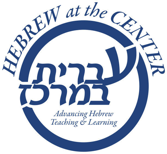 Two Hebrew teachers attended a summer-long program at Middlebury College. The entire faculty attended a rich, two-day professional development program at school. MILTON faculty and administrators led presentations and workshops focused on Project Zero Classroom, Design Thinking, Thinking Routines, and other differentiation practices. Faculty and administrators attended a workshop on Compassionate Listening by Amalia Phillips. This workshop is designed to support strong, open partnerships and communications between MILTON families and the school. The entire faculty read one of two books this summer: Theories of Childhood, An Introduction to Dewey, Montessori, Erikson, Piaget & Vygotsky by Carol Garhart Mooney in Pre-K and Kindergarten, and Late, Lost, and Unprepared, by Laurie Dietzel and Joyce Cooper-Kahn in Grades 1-6. The focus of the latter book is on helping children develop the eight aspects of executive functioning, a set of skills that are critical for academic achievement. Our faculty and administrators had meaningful discussions about both books, including the practical applications to our daily practice. We know that executive functioning and how to support your child in developing better strategies is a topic of interest for many of you. We invite you to learn with us. Dr. Joyce Cooper-Kahn, one of the authors of the book we read as a school, will be the speaker at the Annual Ari Zymelman Lecture on November 6. In addition to the lecture, we will conduct a workshop for the faculty earlier in the day. We invite parents to read the book in preparation for the lecture. We found the ideas and suggestions in the book practical and useful, and in line with the school’s pedagogical approach and philosophy. The 2017-18 school year marks new milestones and changes for the MILTON community. But the important things stay the same. MILTON is distinguished by its emphasis on joyful learning and the pursuit of excellence; school life is infused with Jewish values and living; students embrace global citizenship through a Jewish lens; our diverse and vibrant community is filled with warmth. Hear from parents, students, and alumni as they talk about the MILTON experience and community in our new video. Whether your family is at the beginning or in the middle of your journey with us, we thank you for being part of the MILTON community and for partnering with us in educating your children. We are excited for all the opportunities ahead. We look forward to sharing more information about new initiatives and curricular updates with you in the coming days and weeks and at our Back-to-School Nights. Best wishes for the school year and may we all have a sweet new year – Shanah Tovah!